Rourkela is one of the planned cities in India and is located in the state of Odisha. It is a significant tourist spot in the state as it houses several natural sites as well as historical monuments within its boundaries. But how about taking a break from Rourkela this weekend and finding yourself away from its boundaries at some charming destination? If you would love to do so, then you have reached the right spot. Here, we discuss the perfect weekend getaways from Rourkela that can provide you with several everlasting travel experiences. The list contains historical places, religious sites, beachside regions and other natural spots. Read on and learn more about these beautiful getaways. Find out their tourist attractions and respective distances from Rourkela. One of the first river valley projects in India, Hirakud Dam was completed in the year 1957 and is immensely popular for its beautiful lake, which attracts hundreds of tourists and locals every day. It is built across the Mahanadi river and has one of the largest reservoirs in the country. If you are one picnic lover, then this spot will certainly interest you to the core. From boating to photographing and lazing by the lake beach to spotting birds, there is a lot to do here. It is located at a distance of about 15 km from Sambalpur. The capital city of Jharkhand, Ranchi is generally known amongst tourists as a fast-developing city with colourful farm fields on its outskirts. The fact that Ranchi is known as the city of waterfalls is known to only locals and a few offbeat travellers. Yes, Ranchi is home to several beautiful waterfalls which have become weekend getaways for picnickers over a period of time. The list includes Hundru Falls, Sita Waterfall and Dassam Falls. If you are looking forward to spending a relaxing weekend, then do visit these soothing waterfalls in Ranchi. Simlipal National Park is located in the Mayurbhanj district of Odisha and is a perfect place for every wildlife lover and photographer. It was founded in the year 1980 and is spread over an area of about 2,750 sq km. The major species found here include tiger, Asian elephants, gaur, peafowl and grey hornbill. The national park is also home to the beautiful Barehipani Waterfall. Located in the Baleswar district of Odisha, Chandipur is a small beachside settlement and is known for its Hide and Seek Beach. This beautiful beach is a stretch of golden sand and is a perfect place for those looking forward to spending weekends amid seclusion. The region is also home to lush green vegetation. Hence, it wouldn't be wrong to say that it is a small piece of paradise. So, get yourself here and rejuvenate your soul. Bhubaneswar is the capital city of Odisha and is one of the oldest inhabited places in the state. Hence, you can find a lot of historic sites and ancient temples within its boundaries. The major tourist attractions here include Lingaraja Temple, Udayagiri and Khandagiri Caves, Nandankanan Zoological Park, Mukteshvara Temple and Dhauli. If you are a history lover, then you shouldn't miss out on exploring the ancient wonders of Bhubaneswar. Another seaside village, Digha is an unexplored beach destination in the state of West Bengal. Therefore, it can make for an idyllic destination amongst beach lovers. Apart from exploring its pristine and unpolluted beaches, you can also indulge in visiting its beautiful temples. The major tourist attractions here include Digha Beach, Junput Beach, Chandaneswar Temple and Udaipur Sea Beach. 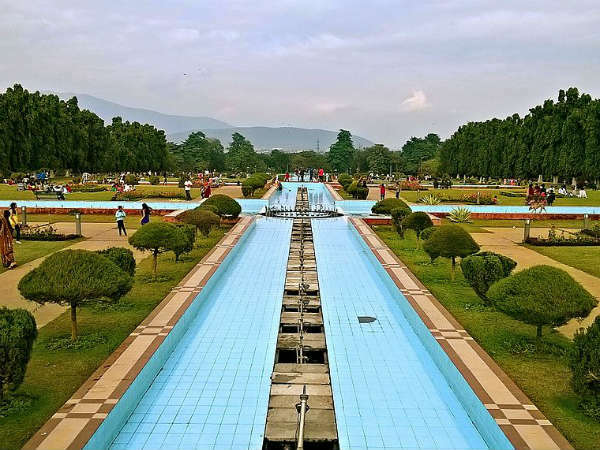 The first planned city of India, Jamshedpur is a beautiful urban centre in Jharkhand and is surrounded by the wondrous Dalma Hills and the charming rivers of Subarnarekha and Kharkai. It is also home to numerous beautiful gardens. The major attractions here include Jubilee Park, Tata Steel Zoological Park, Dimna Lake and Dalma Wildlife Sanctuary.